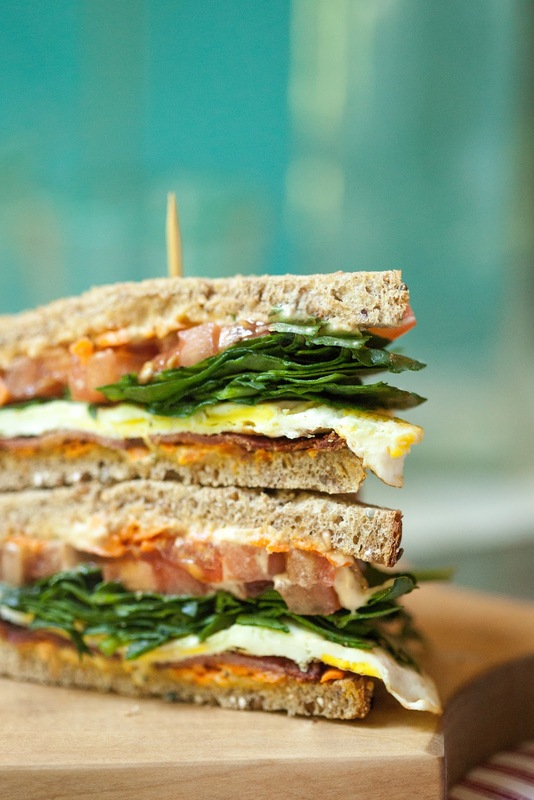 savory nest: A Little Breakfast Sandwich... for Mother's Day? A Little Breakfast Sandwich... for Mother's Day? Holiday traditions and family celebrations are all about making memories; capturing the feeling and fun of times shared... though not necessarily in the same way or on the same day as you've always shared them. As time moves on (and kids get older), you kind of have to roll with the flow of things a bit more. The simple (and sometimes not so simple) cadence of life oftentimes requires creativity and flexibility when it comes to celebrations. My own Mother's Day came one week early this year... and by complete surprise. It began with this little breakfast sandwich -- a not-so-traditional BLT with turkey bacon, spinach, tomato, a fried egg, some hummus, and a bit of shredded carrot -- made for a car trip north, and culminated in a weekend-long visit in Seattle with both our girls (the youngest flying up from San Francisco). Totally unexpected... and totally great! While the first eighteen years of Mother's Days for me... and many moms I know... held a fairly rhythmic tradition of handmade cards and the day spent together, every one of the eight since has been uniquely its own. Whether acknowledged by card, by phone... or a surprise visit... each is a reminder of just how incredibly lucky and honored I am to have two wonderful young women call me mom. While my Mother's Day came early, happily on the heels of this little egg sandwich, I did create a fun DIY project for Stemilt Growers this week that would be great on a Mother's Day table. 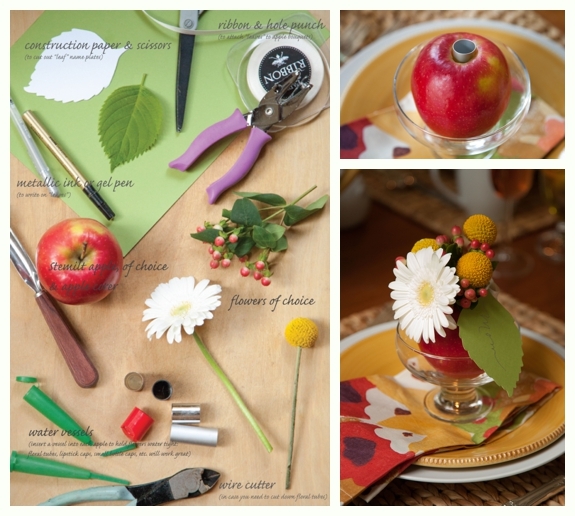 It's a Mother's Day Apple Bouquet that is featured this week on The Stem. And, since we're talking occasions here, I have to say it would also be great as a little end-of-year teacher's gift... maybe with a yellow #2 pencil mixed in! So whether it's heading out in the car with a little egg sandwich or sitting around a nicely dressed table, traditions and celebrations are meant to be savored... however they get rolled out. Disclaimer: While I am being compensated by Stemilt Growers as a guest contributor to The Stem, the views and opinions expressed are my own. Spread each piece of toast with a little hummus, then top with a sprinkle of shredded carrot. Position toasts in pairs. To one half in each pair, add 2 to 4 halves of turkey bacon (as preferred), a fried egg, 2 slices of tomato, and a good fluff of spinach. Top with paired toasts. Serve immediately. * "Over hard" refers to breaking the yolk when turning your egg. In this preparation, I like to break the yolk before flipping so that I can distribute it a little more uniformly over the white, then flip to finish cooking.